Is ‘Middle Grade’ fiction a saturated market? Up until last night I had never heard of ‘MG fiction’ (or ‘Middle Grade fiction’) and no, apparently ‘middle grade’ fiction isn’t a way of describing so-so quality writing, instead it’s a way of describing your reader base. MG is another way of saying that a child will be in middle school when they read your book. We don’t really do ‘middle school’ in Scotland though so I had to look this up. A whole new demographic is being recognised by publishers, as they decide to aim certain books at the years preceeding ‘young adult’ (basically eight years and up). Last night I (virtually) met a whole bunch of MG writers almost by accident over on twitter. Every Wednesday at 8pm (GMT) there’s a twitter get together under the hashtag #ukmgchat and I just happened to log in just in time to catch the last ten minutes, but they were an eye opener. So many authors had the same feeling as me about this category of fiction; despite a peculiar perception by some non-authors that this is a ‘saturated market’ our experience says otherwise, and our wish to write for that age group has not been squashed. In my experience as a book buyer at Fun Junction I find it extremely hard to find new books to fill our ‘early chapter books’ shelves. 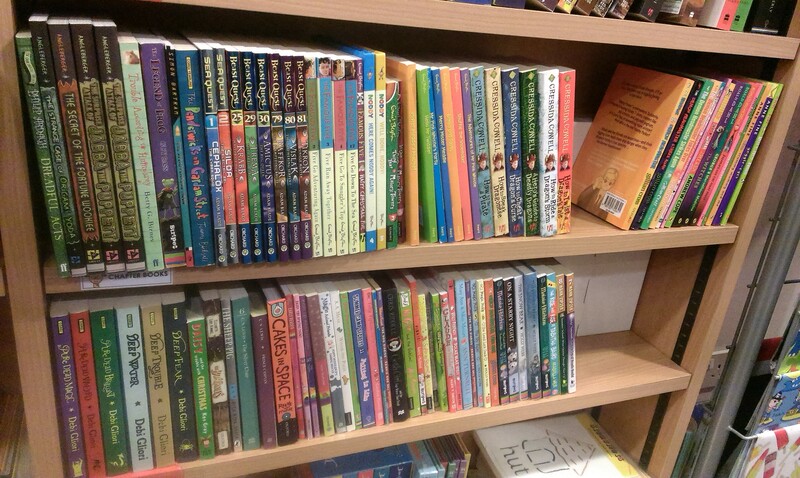 there are staples like ‘Beast Quest’ and the ‘Rainbow Magic’ series, and there are some high profile authors in there but kids that age can get completely hooked on reading and so they come back to the shop, having read our usual fayre, asking for more and all too often there isn’t any. The MG fiction market isn’t saturated, instead it is filled with a selection of (albeit very good) tried and tested books that most avid MG readers have read by the time they’re nine (at least that’s what I’ve found). So to say the market is ‘saturated’ is a little misleading, and even if it were ‘saturated’, kids reading now may not identify with fictional children written ten, twenty, or more years ago. At the very least the endless changes in society and technology mean that fiction has to keep up if it wants to look authentic to young readers. Jack’s adventures are definitely aimed at the younger end of (and a little below) the MG reading level but I could still picture it on the bookshelf. That said there are a few things that differentiate Jack’s adventures from the general notion of what MG fiction includes. For starters early romance seems to be an emotional issue and plot issue in a lot of MG fiction. There isn’t even a hint of romantic feeling in any of the younger characters in Jack’s adventures (at least at present). Romance isn’t really part of my overall plan for the series, at the moment the characters are just having adventures and learning about themselves, but I’ll have to see what happens as Jack grows up. Next week’s #ukmgchat is apparently going to be focussed on early romance, if nothing else it could be interesting to see how other authors deal with the relationships of characters who fit in that age category, though I’m sad to say I won’t have much input of my own (at least in relation to the Jack Reusen books). Nonetheless who’s to say that I won’t keep Jack’s world going for years, I intend for him to grow up in that time (I won’t keep my characters ageless) so perhaps I could take notes for events far in the future. This entry was posted in reading and literacy and tagged #ukmgchat, children's fantasy book, Children's fiction, early years chapter book, independent author, Jack Reusen, john bray, MG, MG fiction, scottish author on 29 January, 2015 by John the Toy Shop Guy. Just had an interesting chat on facebook messenger with a teacher I know, got some scheduling things to work out but it looks like I’ll be doing a world book day event sometime in the week starting 2nd March for up to three different schools. Totally elated, this is a much bigger event than I had prepared for but I’m looking forward to it. I’m trying to figure out what might work best, whether to tell them about writing, read from the first book or write up something specifically for the day. To be honest I’m inclined to keep it simple and work on my presentation, the main thing for me to remember is that I’ll have an audience of kids from five years and up to keep entertained. Now I just need to figure out what the basic material will be. What kind of thing do you think primary school aged kids would enjoy in a book talk? 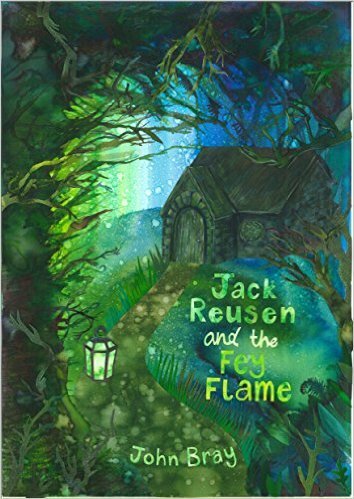 If you’ve already read some of ‘Jack Reusen and the Fey Flame’ have you got any suggestions about a good chapter/section that I could read for them? This entry was posted in Events and tagged children's fantasy book, Children's fiction, early years chapter book, Fey, independent author, Jack Reusen, john bray, scottish, scottish author, world book day on 28 January, 2015 by John the Toy Shop Guy. The next step in introducing Jack to the world has been made. 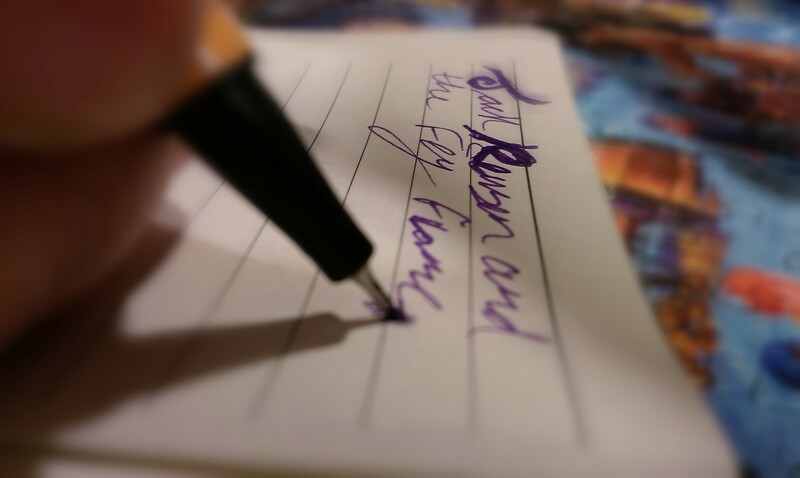 Just a few hours ago I sent a full draft of ‘Jack Reusen and the Fey Flame’ to the printers. The next step is for me to go out and do a few events, the first of which will be brief reading and talk-about session at Fun Junction in Perth. I’m really excited about this because I wasn’t expecting to be able to use my workplace to show off my book. I’ve taken part in events in the shop before; previously I took part in a ‘pirate day’ event in the Perth store as ‘Captain Jimbo’ the pirate. I read stories and led children around the shop on a treasure hunt, it was a whole lot of fun. I’m hoping that I can do something that will be just as entertaining for everyone with Jack Reusen’s world. Another avenue that I would like to try would be local libraries or schools. I’ll have to keep my fingers crossed on that one though as it’ll probably be a little tricky, given that I’d be dealing with local authority and some of the red tape that goes with that. All the same it would be amazing. I’m not completely sure what kind of event I’d put together in that kind of venue but I’d love to give it a go. If you have a class, club, or group which you feel might benefit from a talk about writing, or a chapter reading, then don’t hesitate to contact me either in the comments below or over on Twitter (here’s my twitter account and here’s a link to the official Jack Reusen twitter feed) or you can contact me via the Jack Reusen Facebook page. As always thanks for reading, seeing the reader count for this website go up is always great and it makes me hopeful that Jack’s adventures will be a hit. This entry was posted in Book Progress and tagged children's fantasy book, Children's fiction, early years chapter book, Fey, independent author, Jack Reusen, john bray, scottish, scottish author on 26 January, 2015 by John the Toy Shop Guy. 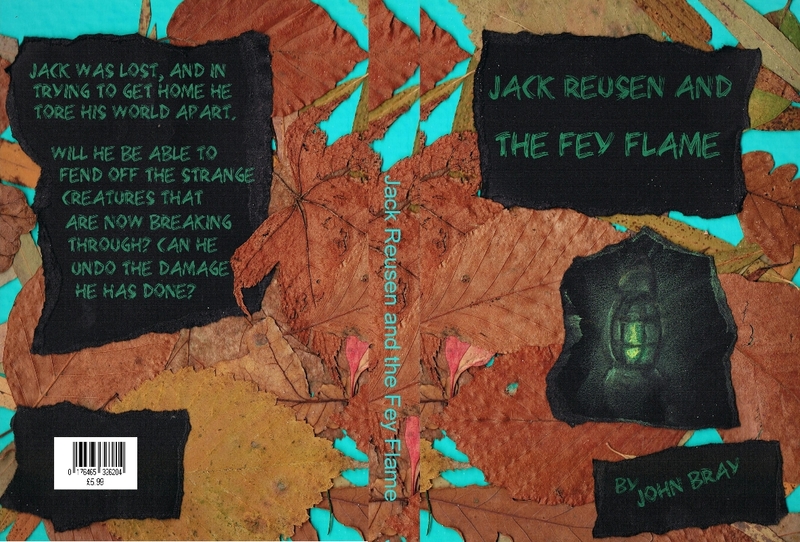 After a couple of late nights and more than a few editorial stumbling blocks ‘Jack Reusen and the Fey Flame’ is finally available on kindle (http://goo.gl/rovYtF). The next step is the physical printing which I’m sorting out today, and then it’s all in the printers’ hands. Sorry for the delay, I had a little incident with the cover that took some fiddly finicking but as you can see it’s all sorted now. This entry was posted in Book Progress and tagged children's fantasy book, Children's fiction, early years chapter book, Fey, independent author, Jack Reusen, john bray on 26 January, 2015 by John the Toy Shop Guy. The drafting is complete, visual edits are done, main preliminary work on the cover is finished (though still not finalised). 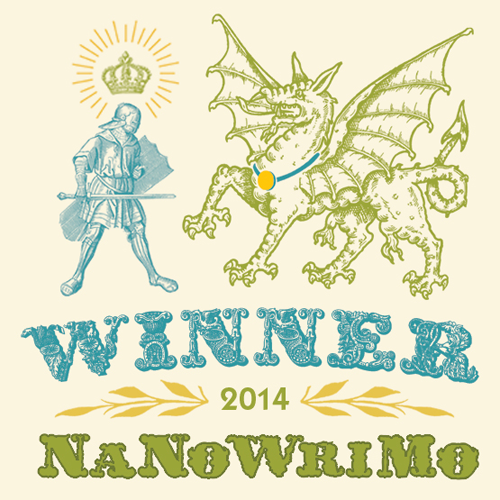 The process that began with National Novel writing Month is almost complete. I’ll be at work today so there’s less time for me to finalise things but I’m pretty sure we’ll be ready to launch the kindle edition this evening/ later tonight. This has been a strange process, editing a fiction book is new to me (I’ve written non-fiction before). The main issue, surprisingly, came from my main ‘beta tester’. I’d joked about it, but actually having a six year old listen to the story was one of the most important editing decisions I made. Characters that I didn’t think were all that significant gained a special place in my son’s heart, while scenes that I thought offered comfort and stability made him yearn for the excitement of the action scenes. I really feel that the balance is right now but if it hadn’t been for Logan, giving me input with an honesty only a six year old could deliver, the book would have looked very different. 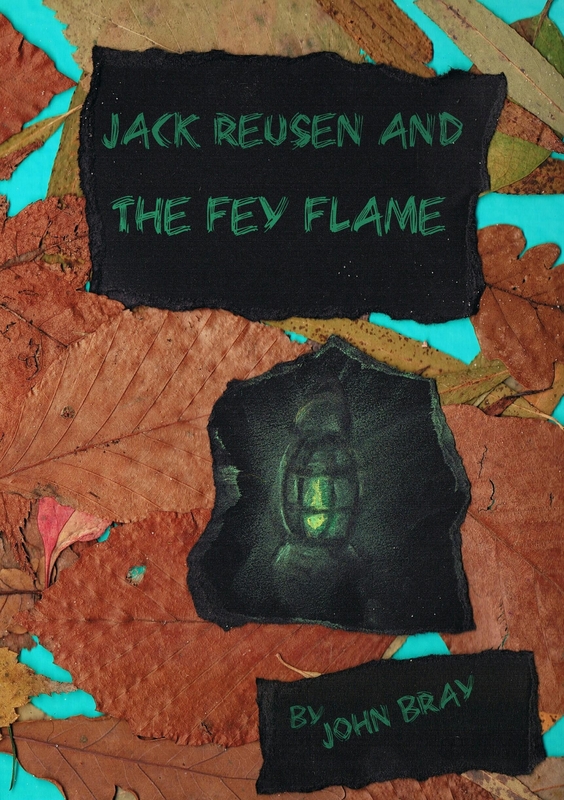 As I said, the digital edition of ‘Jack Reusen and the Fey Flame’ should be live tonight and I’m really excited to see how people feel about it. Work on the next two books has already begun but as my previous post said, February will see my writing go into overdrive. This entry was posted in Book Progress and tagged children's fantasy book, Children's fiction, early years chapter book, Fey, Fey Flame, independent author, Jack Reusen, john bray on 24 January, 2015 by John the Toy Shop Guy. In February I’ll be back to my daily writing totals from Nanowrimo because I’ve come to realise that the only way this whole writing business is going to work is if I actually, you know, write. My final edit is almost done (something like a chapter and a bit left), all I can do is apologise for how long its taking and take on board what I’m learning for the other books I’ll be releasing this year. Book two has four chapters drafted, I’ve planned out most of the plot and only one or two new characters will be joining Jack and the gang for this one (so not too much work to do there). It would be easy for me to get complacent with this, after all I’ve said that ‘Jack Reusen and the Spark of Dreams’ will be out in April. Just now that feels like a long while away but I can’t take that for granted. I need to remember all these little mistakes I’ve made in scheduling the release of ‘Jack Reusen and the Fey Flame’. To be honest this post is as much for me as it is for you, it should hopefully stand as a reminder for me to leave a lot more time for revisions and cover design in future. 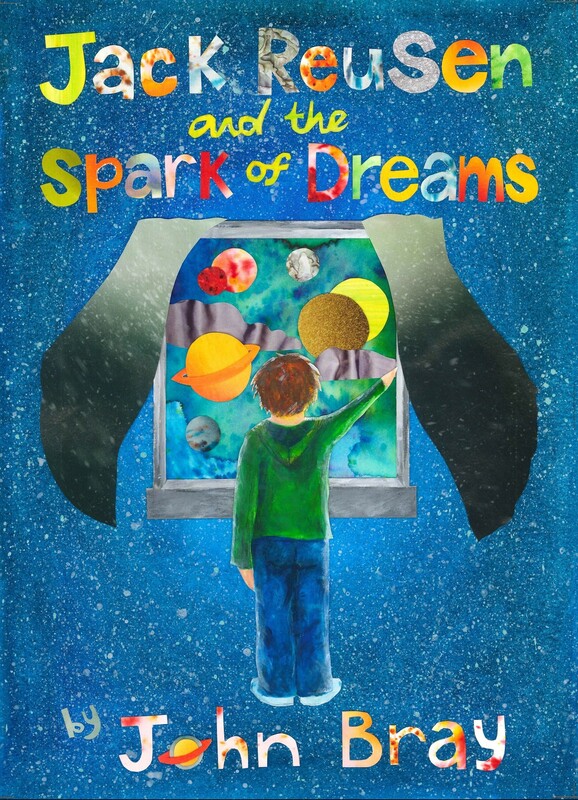 ‘Jack Reusen and the Spark of Dreams’ will be out in April, I’ll be releasing another Jack Reusen book in September, and a mini book for Christmas (about 8 to 10 chapters). Keeping all of this in mind I should really be working on this solidly. That’s why I’ve decided that February is Jack Reusen month for me, just like I did with Nanowrimo I’ll be setting myself daily targets. As I go along I’ll blog about my progress and possibly even include the odd wee spoiler on here (really really minor ones mind you, I can’t let too much slip). To anyone still waiting for the first book’s release, it is coming, slowly but surely, I promise it will be here soon. It will be out on kindle first. This is simply because I’ll need to figure out a lot of bits and pieces with the printers for the print edition, but I can handle putting together the digital edition myself. To put a fire under my tail I’ll put out a deadline just now (I work well with deadlines) so I’ll say that the digital edition will, at the latest, be out next Saturday (24th January) and the print edition will be available just under two weeks later (provided all goes well with the printers) on Thursday the 5th February. This entry was posted in Book Progress and tagged children's fantasy book, Children's fiction, early years chapter book, Fey, Fey Flame, independent author, Jack Reusen, jack reusen and the spark of dreams, john bray on 16 January, 2015 by John the Toy Shop Guy.